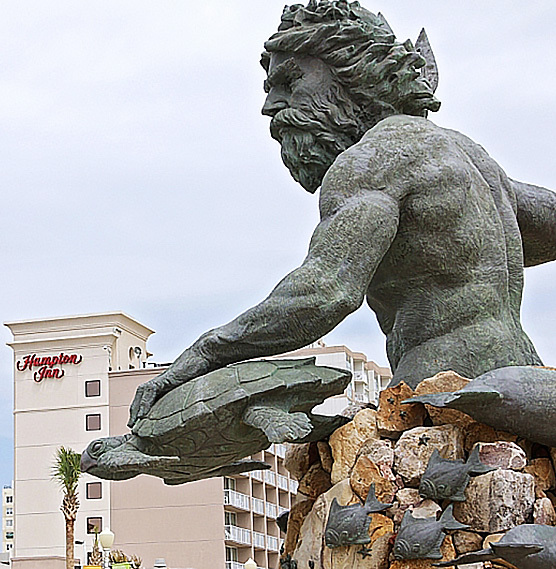 Friendly and fun-loving, Virginia Beach charms visitors with its easy mix of family-friendly vacation pleasures, including surfing, annual festivals and beloved attractions. Dubbed the “World’s Longest Pleasure Beach” by the Guinness Book of World Records, Virginia Beach features a three-mile oceanfront boardwalk, hundreds of restaurants and bars, and a laid-back beach vibe that welcomes all. Whether your vacation includes adventures like dolphin kayaking and surfing or treks to the the Virginia Aquarium or Back Bay National Wildlife Refuge, the Hampton Inn Virginia Beach Oceanfront North makes a great starting point!